Obituary for Linda M. Slingwine | Dimon Funeral Home and Cremation Services, Inc.
Linda M. Slingwine, 73, of Tower City, passed away Thursday, November 22nd at the Tremont Health and Rehabilitation Center. Born in Bath, New York, September 29, 1945, a daughter of the late Lawrence and Doris Daley. Linda was a graduate of Haverly High School, Bath and Harrisburg Area Community College where she received her LPN. She was retired from the Harrisburg Hospital as an anesthesiology technician in the surgical department. She was a member of St. Paul's Lutheran Church, Tower City; a member and past president of the ladies auxiliary of the Gratz V.F.W. She was preceded in death by her husband, John "Jack" Slingwine. 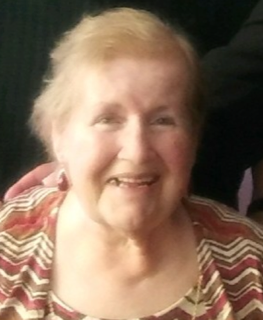 Surviving are her two children, Andi Richard, Oldsmar, Florida and James Kolva, Millersburg; Six step-children including Jean Zimmerman, Tower City; a granddaughter, Danaca Clark; numerous step grandchildren and great grandchildren. Siblings, Cathy Matter, Tom Daley, Steven Abel all of North Carolina; William Daley, Theresa Bishop and Richard Daley all of New York. Nieces and nephews.